A number of discovery disputes boiled over in a suit involving a Chinese hot-pot restaurant chain and a Boston restaurant who had tried to become its first American franchisee, resulting in the award of sanctions against plaintiffs’ attorney. Magistrate Judge Kelley is requiring the attorney to pay the defendants’ reasonable fees and costs for their work on a motion for a protective order and to quash subpoenas issued by the plaintiffs. Limited discovery had been allowed, to determine whether a forum selection clause in the franchise agreement had been triggered, which would require the bulk of the claims to be brought in China. A series of disputes over discovery arose, in which plaintiffs’ attorney repeatedly refused to meet and confer. 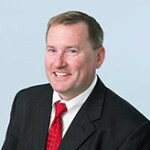 Among the charges were that the attorney noticed numerous third party subpoenas seeking financial discovery well outside the bounds of the limited discovery that had been permitted at a time when the defendants were negotiating a resolution of a dispute concerning plaintiffs’ attempt to get this information directly from the defendants. Judge Kelley indicated that this is an improper attempt to circumvent the legitimate objections of the defendants to the discovery, and that plaintiffs should have moved to compel if they believed the objections to lack validity. She criticized plaintiffs’ arguments that defendants lacked standing to challenge third party subpoenas as “plainly without merit.” Perhaps most damaging, plaintiff itself cross-moved for sanctions, accusing defendants’ attorney of frivolous and vexatious conduct, obstruction of discovery, and “potentially falsifying discovery documents,” an allegation that he admitted at oral argument was entirely without basis. Previous Previous post: Monsarrat v. Zaiger (17-10356). Next Next post: Anuwave LLC v. Sophos, Inc. (18-cv-10655).